All of the work has been done! This home has been completely renovated! Very nice 3 bedroom ranch on a street with primarily homeowners. In addition to new carpet and flooring, paint, kitchen cabinets, counter, sink, bathroom vanity, lights, fans, some doors, and blinds, the garage has new vinyl siding, and a newer roof on house and garage. Within the last 9 years a new furnace, siding and trim on house, storm windows, and toilet were installed. You can start fresh in a ready for you house in the new year! Must see today! This 3 bedroom, 1 bathroom Single Family home for sale is currently listed for $89,900. 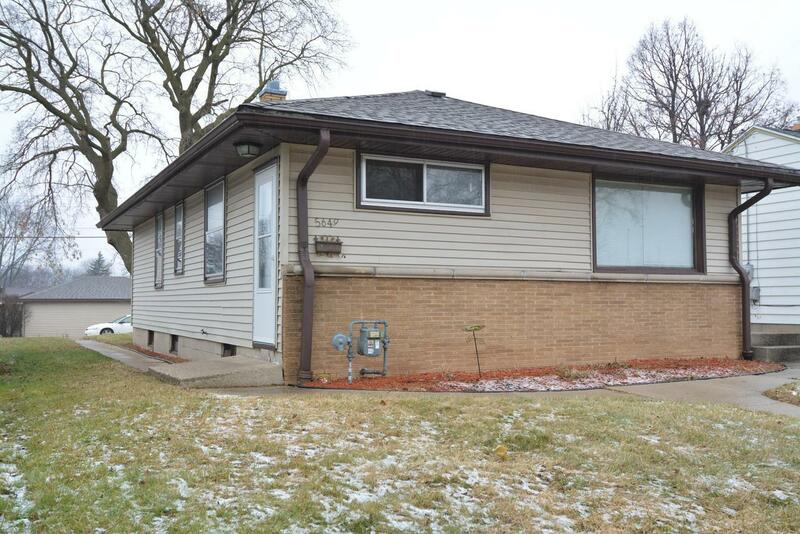 Located in Milwaukee, WI, 5649 N 72nd St features a lot size of 4,791 Sq. Ft. and was built in 1955. It has been on Coldwell Banker for 95 days. This listing is provided courtesy of XCEL REALTY, LLC. Looking for more homes for sale near this one? View all Milwaukee, WI homes and connect with local real estate agents.